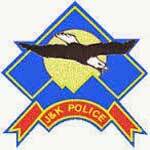 J&K Police Recruitment 2017 – 658 Sub-Inspector Posts :- Jammu & Kashmir Police has published latest notification for filling up 658 posts of Sub-Inspector in (Executive/Armed). Desirous & eligible candidates may apply online within 30 days after the activation of online link which will be notified separately in the second week of January 2017. Age Limit: Between 18 to 28 years as on 01/01/2016. The candidates born before 01/01/1988 and after 01/01/1997 shall not be eligible. Educational Qualification:Graduate in any discipline, from a recognized University. Last Date of Online Application : Within 30 days after the activation of online link. Application Procedure: Eligible candidates may apply online through the website http://www.jkpolice.gov.in within 30 days after the activation of online link. Jammu & Kashmir Police has published latest notification for filling up 40 posts of Sub-Inspector in Telecommunication Wings. Desirous & eligible candidates may apply online within 30 days after the activation of online link which will be notified separately in the second week of January 2017. Educational Qualification: Graduate from a recognized University in Electronics & Communication Engineering OR Electronics & Telecommunication Engineering OR Electrical & Electronic Engineering. Subscribe our free job alert mail for J&K Police Recruitment 2017.